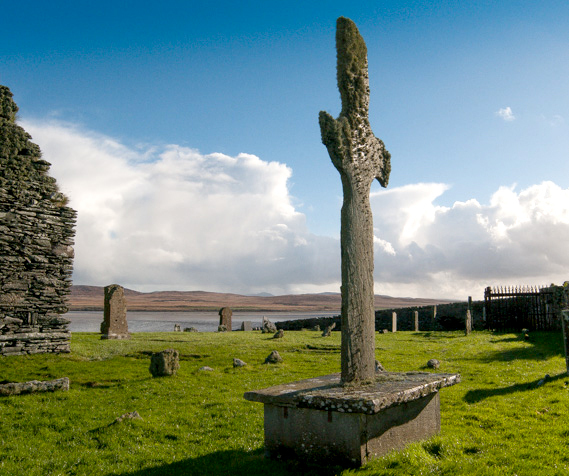 It’s not just the birds that draw me to Islay, it’s also very rich in ancient history and has some of the best preserved Christian high crosses anywhere in Britain. 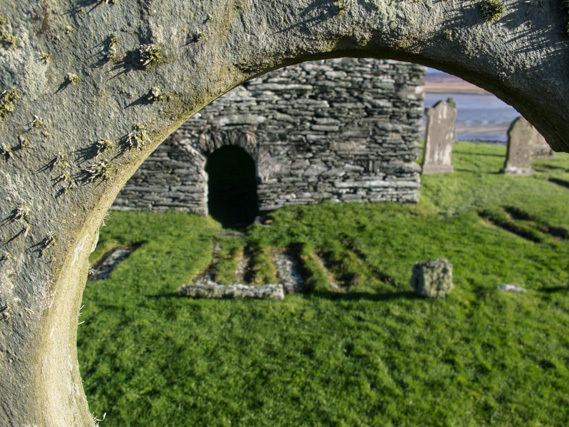 Kilnave has to be one of the most evocative places anywhere in Scotland and a haunting worn cross stands in the grounds of the now ruined chapel. 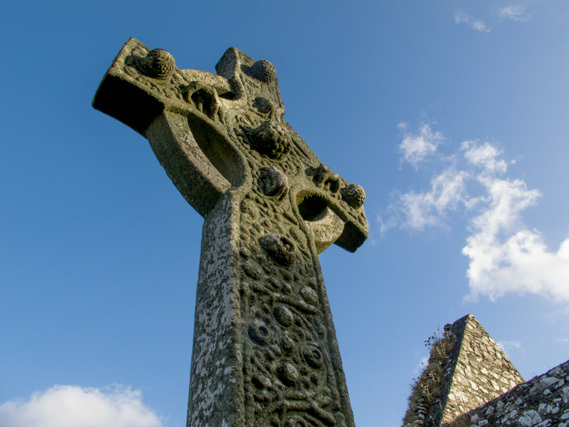 The cross, believed to date from AD 750, is heavily weathered and battered but still remains a very imposing piece of Scottish history. 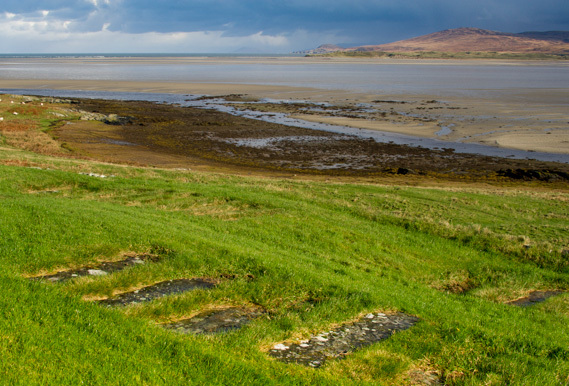 I’ve visited the site every time I’ve been to Islay and also photographed it at night when its history seems to pervade the air. 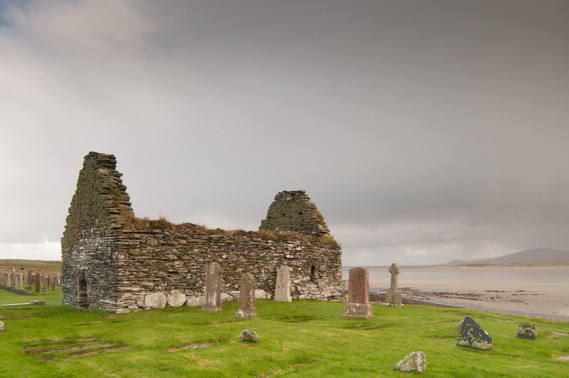 Thirty Maclean clansmen were burned alive inside the chapel by the MacDonalds after taking refuse after the battle of Taigh Gruniart. 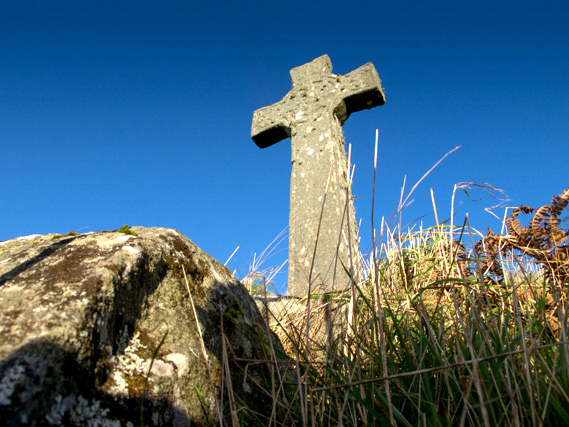 The cross stands witness to it and bears scars that somehow echo back to the days of the clan wars. 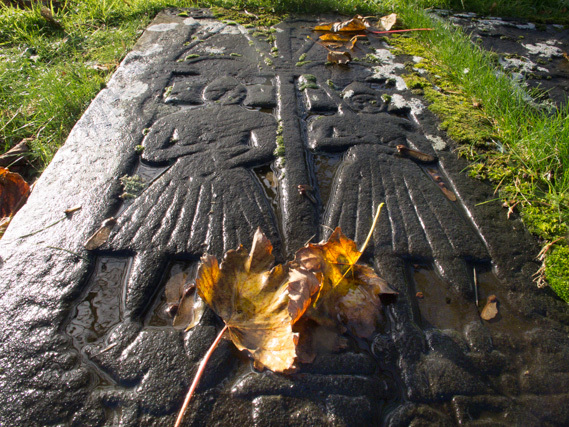 It’s a place that has so much presence and resonates with something peculiarly extraordinary. Every time I’ve visited there’s been no one else around and the solitude is wonderful, yet layered with foreboding. 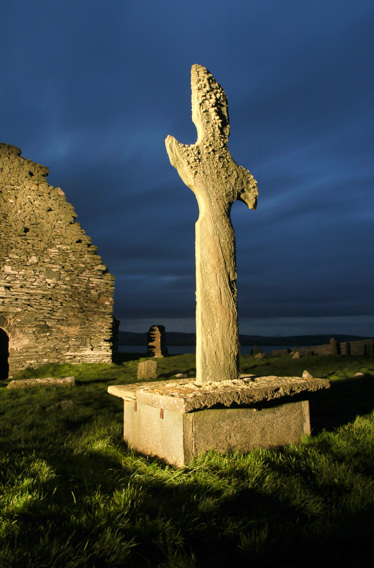 Then there’s the best preserved cross your ever likely to come across, it certainly ranks along side the magnificent ones on Iona and was probably carved by the same sculpter. 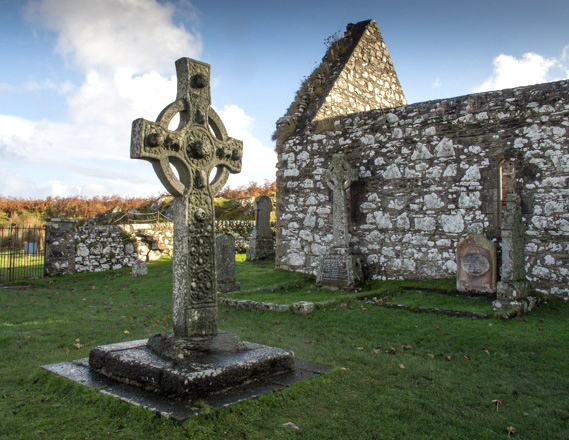 It has stood in the same place for 1200 years, similar crosses have been moved at various times, but here, at Kildalton on the south east end of the island, it has remained in its original position. 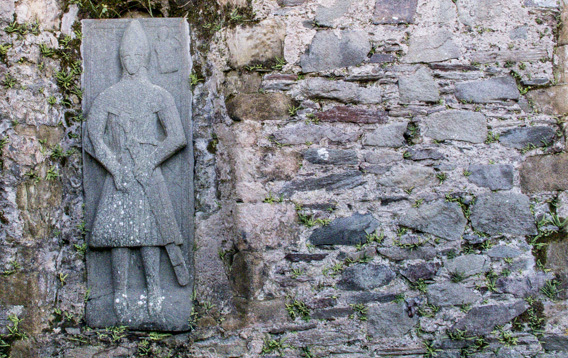 Around both chapels can be found grave slabs, dating from the late 1300’s, and in the chapel at Kildalton there’s a beautifully carved grave slab of a knight set into the wall. You don’t get it much better than these sites and from Kilnave skeins of barnacle geese were following the out going tide and at Kildalton a magestic white-tailed eagle patrolled the coast line.